The right typography can take a design from dull to dynamic in a matter of seconds! Formal or business templates generally look great next to clean, narrow fonts. Fun project themes often do well with cursive or bold typefaces. Understanding how typography works can make your work stand out and take your project to the next level. Whether you’re creating invitations or logos, use the type of font that will evoke the right kind of emotions for your target audience. Are you currently working on some fun summer projects? 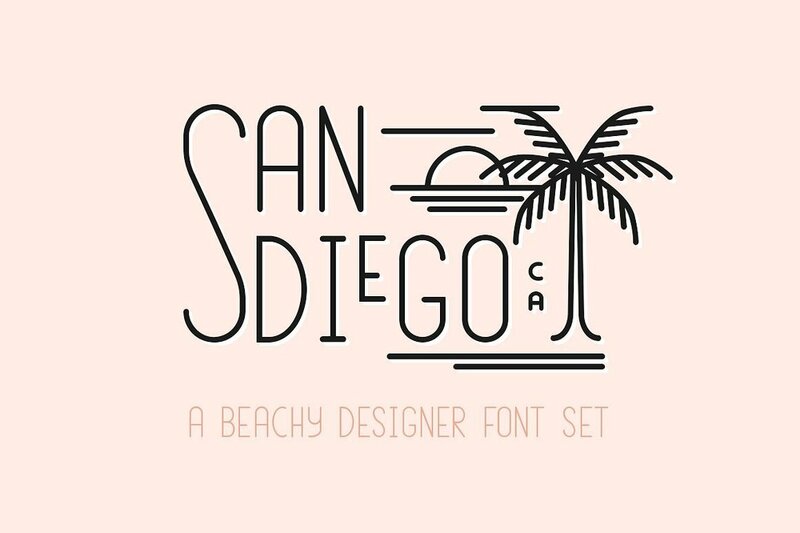 You will absolutely love these fun summer and beach fonts from Creative Market. Evoke the sand, sea, and sun in this tropical typography list. This designer font set created by Jen Wagner Co includes four varying sizes (tall, medium, small, and extra small) that you can effortlessly mix and match. It has a beautiful vintage style that makes retro line-style logos an absolute breeze to make! Pasadena is an all-caps font created by Jen Wagner Co. Inspired by retro label makers, this font will take you back to your childhood memories of lazy summer days and warm, carefree nights. This set includes two weights (light and regular), uppercase letters, numbers and basic punctuation. June Days Font is a beautiful SVG color font created by Dixie Type Co that features dingbats and raster .PNG files just in case your design software of choice isn't able to process SVG fonts. Summer is all about possibilities. So explore yours with Summer Lemonade: a handwritten font duo created by Hart Foundry that is playful and simple to use. Summer Festival is an authentically hand lettered font that works beautifully whether you need typography for wedding invitations, an Instagram post, a website logo- you name it! It’s so versatile. 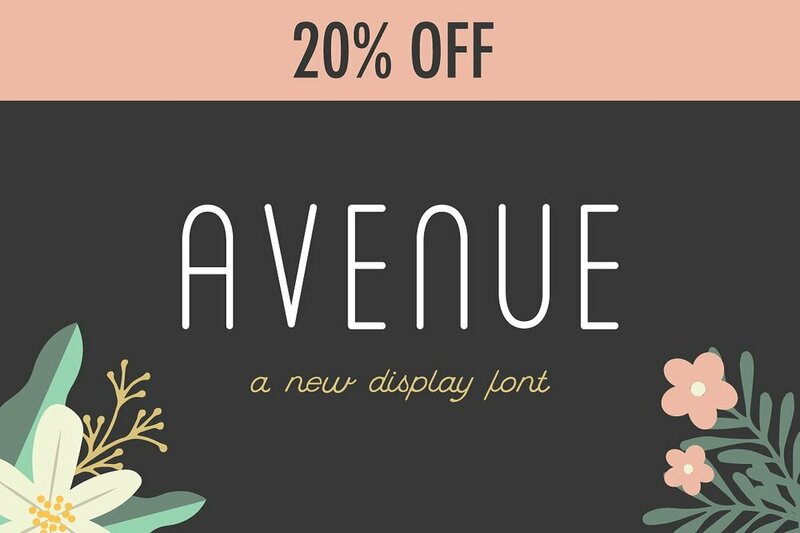 Avenue is a handcrafted, rounded sans serif font that is perfect for headlines and logos! It pairs beautifully with thin, script fonts. This beautiful font duo created by Jen Wagner Co is so versatile- use it to create invitations, posters, letterheads, logos- you name it! Let you imagination run wild. Make sure you always have the right kind of font for each of your client projects. When looking for more resources or inspiration, make sure to visit Creative Market. This is my absolute go-to website for anything and everything creative. Their extensive collection of images, typography, vectors, layouts, and more, will surely give you everything you could possibly need for your upcoming project. Go ahead and save yourself the hassle by purchasing a few of these font packs to save in your toolkit! You never know when you’ll need a great font for your summer-inspired projects. Now you can finally focus on what really matters: getting your creative juices flowing!